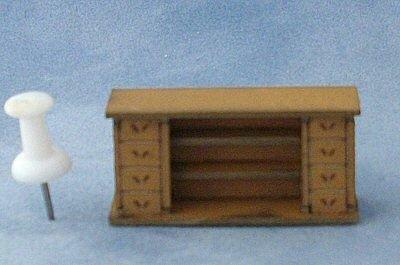 Shop counter kit suitable for your 1/48th scale shop or pub. 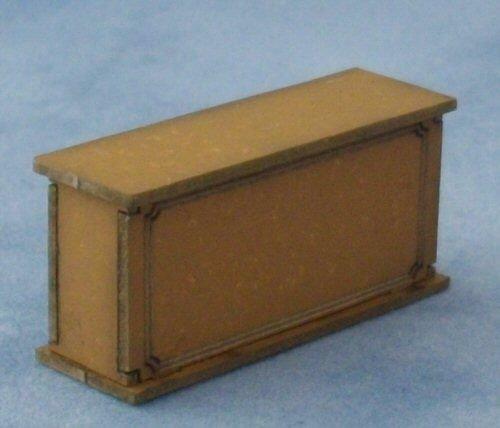 Kit is made from card and pre painted in a brown colour. Kit can be left as it is or you can paint to suit your requirements. Photos show front and back detail. I'm painting up some of these new kits and when I'm done I will add some pictures, along with some help tips, to my blog.